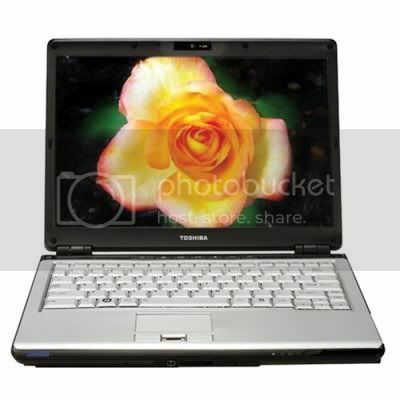 Toshiba Satellite X205-SLI3 has a 17″ TFT display with a resolution of 1680 x 1050 pixels (native 720p for high-definition viewing). Featuring NVidia SLI Dual GeForce 8600M graphic card, which provides up to 767 MB of available RAM/video memory (512 MB dedicated DDR3 RAM) for unmatched HD video performance on a notebook PC. GDDR3 = Graphics Double Data Rate, version 3 is a graphics card specific memory technology that’s better able to deliver fluid frame rates for even the most advanced games and applications.Experience realtime photo editing and gaming. 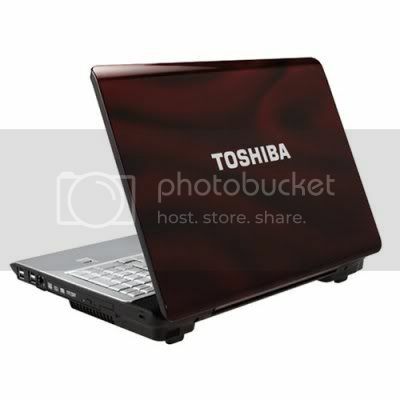 Toshiba Satellite X205-SLI3 come with Intel Core 2 Duo T7500 processor has a 2.2 GHz processor speed with offers a total of 320 GB of hard disk drive space from two 160 GBs non RAID 5400 rpm.Burn, rip and store more multimedia files with the HD DVD-ROM, Double Layer DVD SuperMulti drive. the X205-SLi3 also features an external USB TV tuner that can pull in both standard definition (480i) and hi-def (720p, 1080i) over-air broadcast signals.